This is my first try on Heyawake and I am stuck. Can you give a hint for the next move. The cells marked with dots must be white. 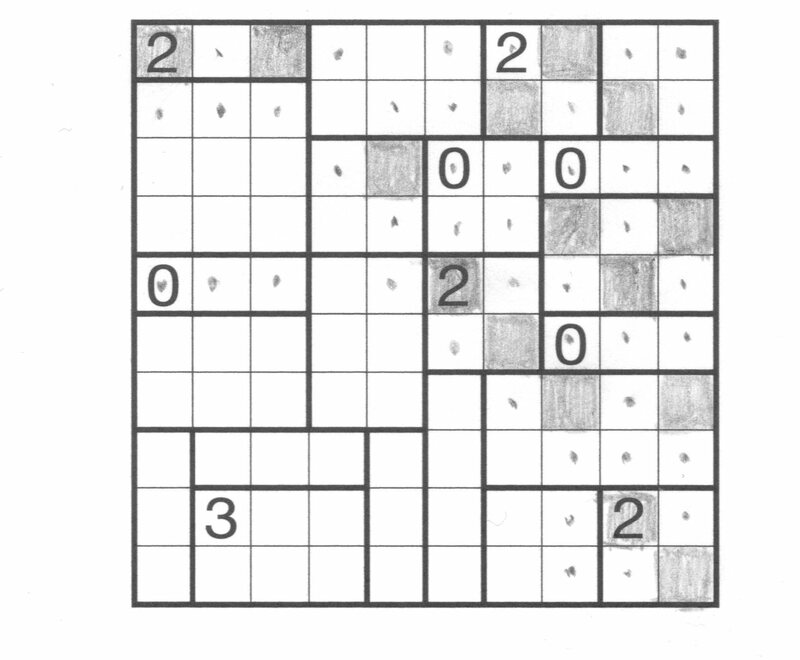 The 3 has two possibilities; one of them immediately leads to the white region being disconnected.